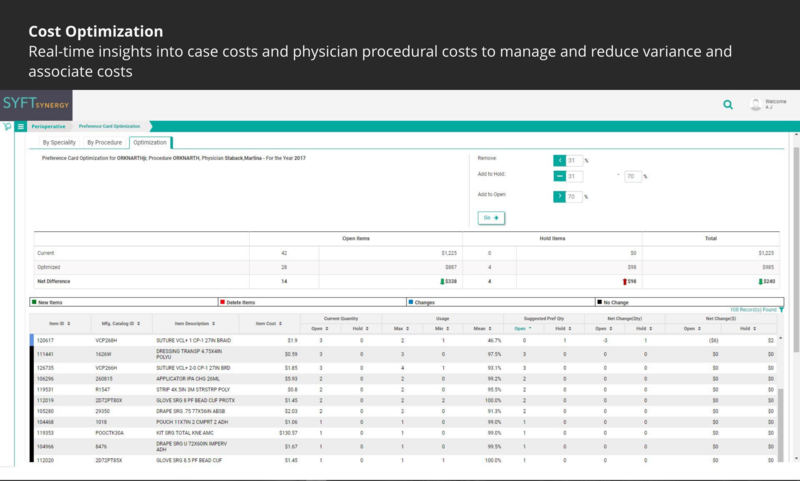 Syft’s procedural point-of-use software provides clinicians with tools so they can spend less time managing inventory and more time caring for patients. With integrated barcode scanning and hand-held support for mobility, Syft Synergy automates and streamlines what would otherwise be manual workflows leading to greater efficiency and margins in high-value procedural areas. 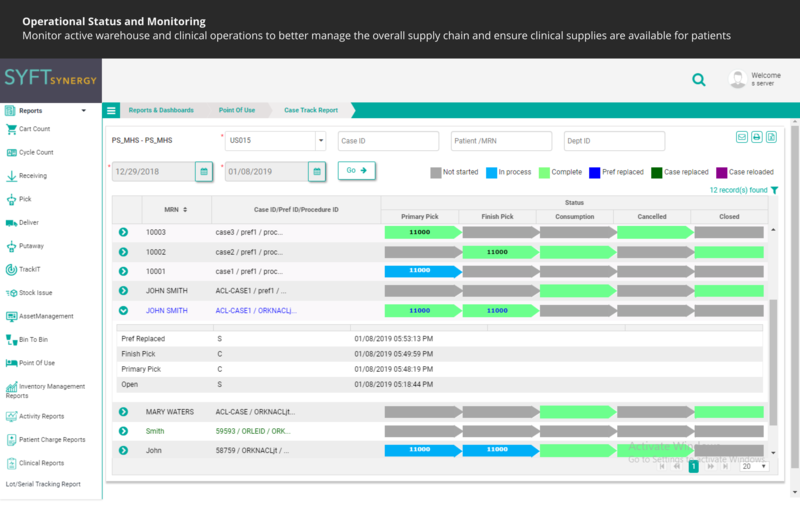 Integrated with your hospital's clinical systems, Syft Synergy supply chain management software with actionable insights drives organizational process improvements.